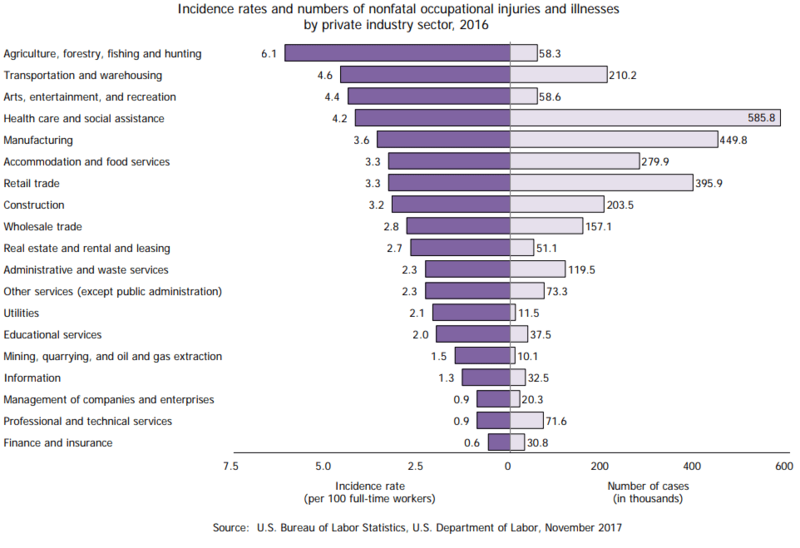 June is National Safety Month, and so it’s the perfect time to take a look at what measures to take to avoid preventable injuries and illnesses in the workplace. Safety measure are essential, regardless of industry. One of the most important safety measures is having a plan in place for emergencies. Procedures may vary based on the type of emergency. Have a system in place to notify all employees and customers on the premises of which safety method should be followed. While a fire would be cause for evacuation, a leak of hazardous chemicals or an active shooter may require a Shelter-In-Place strategy depending on the situation. As such, a clear chain of command should be established ahead of time to prevent conflicting information. Medical emergencies are also an all too common occurrence. In the case of sudden cardiac arrest, death can occur within eight to ten minutes, and permanent brain damage can set in after only four minutes. This kind of emergency can be handled more effectively if employees are offered an option to undergo CPR training and are made aware of the location of Automated External Defibrillators (AEDs). 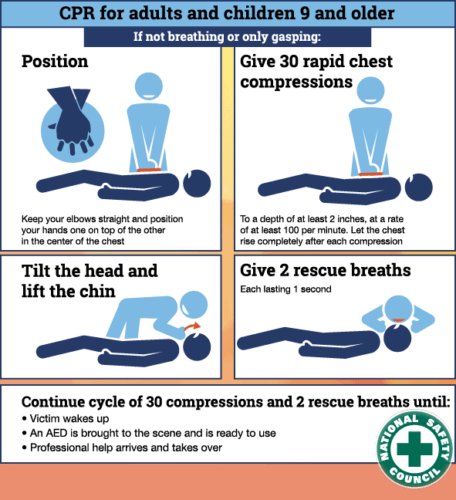 Performing CPR on a victim of cardiac arrest has been shown to double or even triple their chance of survival. General health and wellness is conducive to decreasing preventable illnesses and injuries as well. In an office setting, both comfort and health can be improved with adjustable equipment. However, even the fanciest chair and desk will not help anything if employees do not know how to use them. When sitting at a desk, one’s feet should be able to comfortably reach the floor. Additionally, the keyboard and mouse should be at a height that does not require one’s elbows to bend more than 90 degrees. Fatigue is another overlooked and serious health issue. According to the National Safety Council, regularly sacrificing sleep from the recommended daily seven to nine hours doesn’t just affect productivity, it can contribute to major illnesses, cardiovascular diseases, obesity, and depression. Furthermore, fatigue may cause immediate danger to oneself and others as a result of its associated decrease in attentiveness, reaction time, and decision-making ability. Driving while fatigued can even be as dangerous as driving while drunk. Sleep can be improved by dedicating an appropriate amount of time for it each night, preparing a more comfortable sleeping environment, and by avoiding caffeine, nicotine, and alcohol, which contribute to sleep problems.